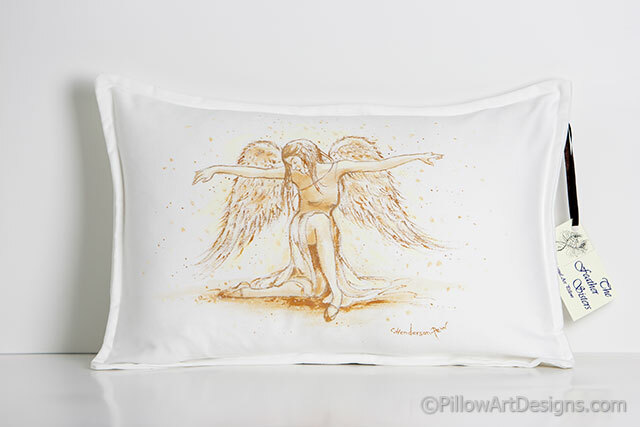 A beautiful angel, kneeling on one knee with wings and arms spread gracefully is featured on the face of this original art pillow. Her hair falls delicately forward, her long flowing gown draped from her legs. 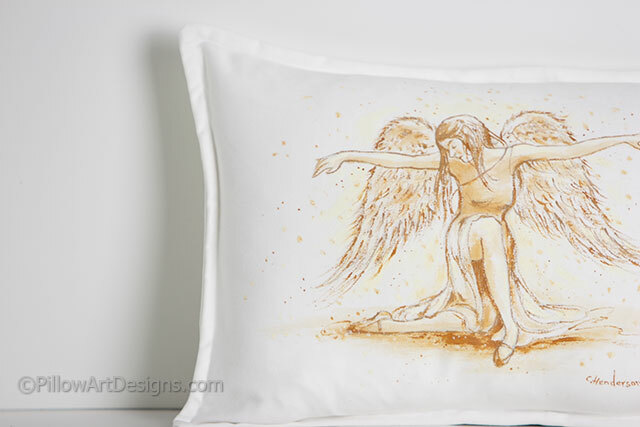 Our angel is painted as inspired in fresco style, in shades of golden brown and sepia tones. All Feather Sisters artwork is painted and signed by Canadian artist Carol Henderson-Pew. 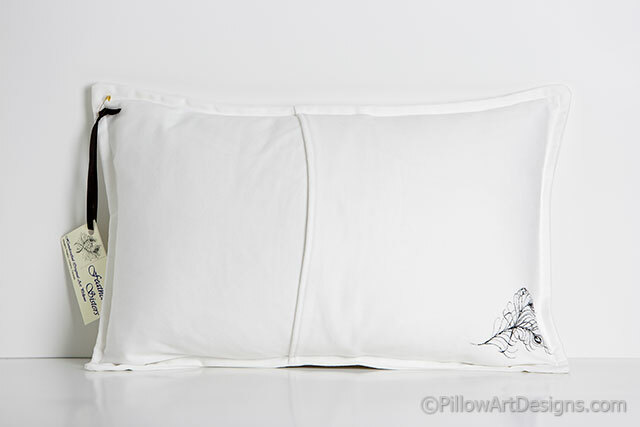 Our Feather Sisters logo is hand painted on the bottom back corner of each pillow.